For this we must again thank my Uncle Rodney Plyles, now a delegate to the House of Delegates in West Virginia, who led us to the Ohio's Gardens of Zoar. He noted the sycamore named in the Gospel reading from Luke and asked if it was the tree he knew. It is not the American Sycamore. The etymology of the bible tree name itself shows how ancient the confusion is. The Greek name actually associates the tree with the mulberry. Thus: our modern the word was coined circa 1350 in Old French sicamor, from Latin sȳcomorus, from Ancient Greek σῡκόμορος ‎(sūkómoros, “fig-mulberry”), from σῦκον ‎(sûkon, “fig”) + μόρον ‎(móron, “mulberry”). 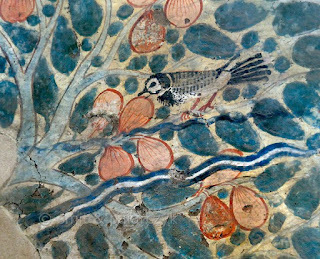 Possibly influenced by Hebrew שִׁקְמָה ‎(shikmá, “mulberry”). Nary a Ficus in sight. Notable of this fig tree is it capability to bear fruit from the trunk. 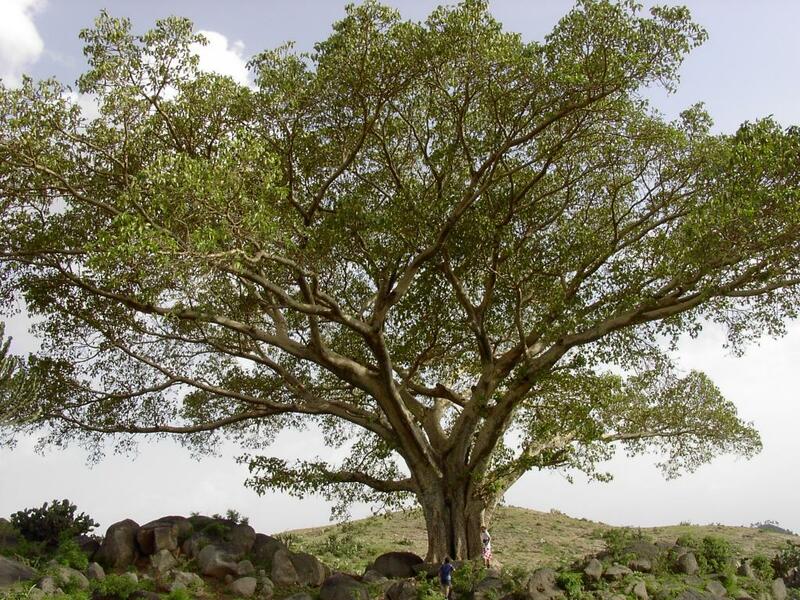 It was probably this feature that caused the Egyptians to name it the ‘Tree of Life’. Ficus sycomorus is a large tree with a thick trunk and leathery leaves. Because of their size and texture, these may be the kind of fig leaves referred to in Genesis 3:7 (Then the eyes of both of them were opened, and they realized they were naked; so they sewed fig leaves together and made coverings for themselves.) because no other species of fig is native to the Middle East. Remains of the sycomore tree (wood, roots and fruit), discovered in Egypt, date as far back as the predynastic period; i.e., more than 3000 years BC. From Egyptian sources we know that in ancient times the F. sycomorus was known as the "fig of Pharaoh," and Egypt as "the land where the sycomore tree blooms." The Egyptians considered its shadow as a delight. With its wood they built coffins for the mummies as the sycomore fig is one of the few trees in the region to obtain a girth great enough for this use. The wood, when properly dampened, cracked rocks, including granite. The wood of the sycomore was held in relatively higher esteem than its fruit. It was used extensively in building and wherever long and stout beams were needed. "One basket had very good figs, like those that ripen early; the other basket had very poor figs, so bad they could not be eaten." In the Hebraic texts, the sycomore tree is often accompanied by the olive tree. The two trees both have the same knotty trunk, with the same knots. According to the texts, the major difference lies in their respective properties: the olive tree can withstand many days without being planted in the ground or watered, which makes it easy to transplant; the sycomore tree, on the other hand, dries out quickly. Also, the olive tree symbolizes reproduction while the sycomore tree symbolizes regeneration. The sycomore tree's ability to regenerate is impressive: For example if the wind uncovers its roots, it will grow even deeper into the ground, clinging solidly to it; if the sand covers its branches, they transform themselves into roots giving rise to new trees. The sycomore's name in Hebrew - shikma - is drawn from the root sh. k. m.: to restore, regenerate, reestablish. Accordingly, in Talmudic literature, mainly in the Mishna and the Tosephta, we find many rules governing use of the tree and its products. 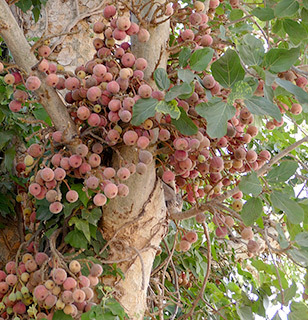 The fruiting Ficus sycomorus – festooned with life. According to botanists Daniel Zohary and Maria Hopf (1914-2008) the ancient Egyptians cultivated this species "almost exclusively.”Remains of F. sycomorus begin to appear in predynastic levels and in quantity from the start of the the third millennium BCE. It was the ancient Egyptian Tree of Life. Zohary and Hopf note that "the fruit and the timber, and sometimes even the twigs, are richly represented in the tombs of the Egyptian Early, Middle and Late Kingdoms." 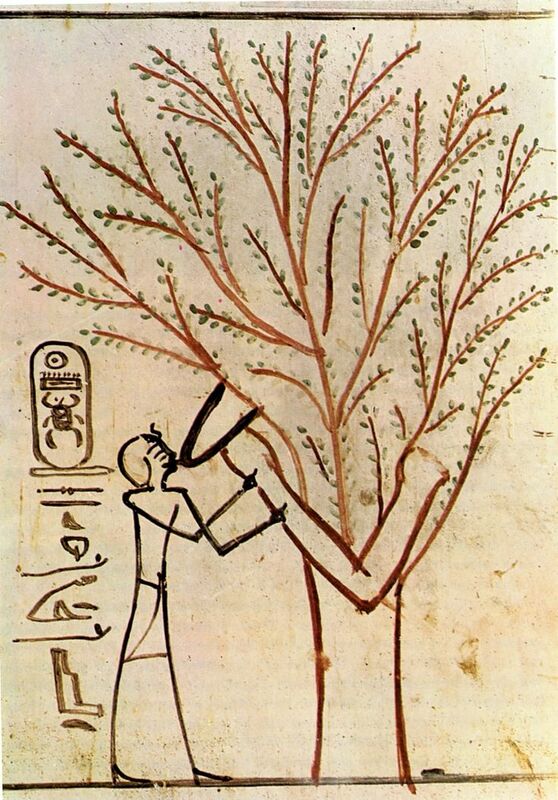 In numerous cases the parched fruiting bodies, known as sycons"bear characteristic gashing marks indicating that this art, which induces ripening, was practiced in Egypt in ancient times." Although this species of fig requires the presence of the symbiotic wasp Ceratosolen arabicus to reproduce sexually, and this insect is extinct in Egypt, Zohay and Hopf have no doubt that Egypt was "the principal area of sycamore fig development." Some of the caskets of mummies in Egypt are made from the wood of this tree. In tropical areas where the wasp is common, complex mini-ecosystems involving the wasp, nematodes, other parasitic wasps, and various larger predators revolve around the life cycle of the fig. The trees' random production of fruit in such environments assures its constant attendance by the insects and animals which form this ecosystem. This is the original F. sycomorus range. You know there is something wrong with the offered collection. It takes far more than the similarity between names to make a biblical plant and any who offer the American Buttonwood tree as the biblical Ficus sycomorus ain’t even trying. "The sycomore fig syconium contains short-style and long-style female flowers, and pollen-bearing male flowers. In its native habitat of Central Africa, the symbiotic fig wasp (Ceratosolen arabicus) lays an egg (oviposits) inside the ovary of short-style flowers. Her ovipositor is too short to reach the ovary of long-style flowers, so a seed develops inside each of these flowers. This remarkable strategy (controlled by genes) insures that fig seeds and wasp larvae develop and perpetuate both the tree and its vital pollinator wasp! All the 800+ fig species on earth have this basic arrangement and their own species of wasp pollinator; however, there are variations, including more than one wasp species per syconium. In fact, about half the fig species have separate male and female trees, including the common edible fig (Ficus carica). This is a complex subject that is difficult to explain in a short article or lecture because there are so many exceptions to a generalized summary of fig biology. Some wasp pollinators (including Ceratosolen) even have pollen baskets (corbiculae) that she uses to carry pollen from one tree to another, but again this is not the case on all fig species. Oversimplification of this subject often leads to errors." As noted, the fruits grow on clusters attached to the bark. The fruit have a very sweet aroma. It tastes different than the common fig, a little sweeter and very aromatic. The fruit of the sycamore fig is not grown commercially. The trees are not as cold hardy as the common fig Ficus Carica. 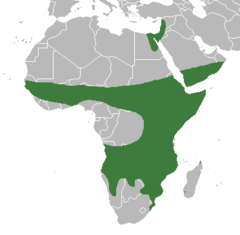 They are usually grown in the warmer regions of the Middle East and Africa. The State of Israel is reestablishing the Fiicus sycomorus as it was in bible times. 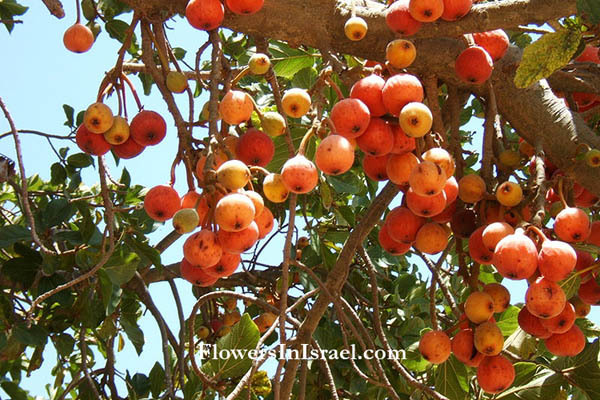 As this photo from the garden at Neot Kedumim shows, they enjoy great success, although doing this means also reestablishing the tiny fig wasp in the region. Little do these tourists know the many miracles they now pass by.